BOKER NOVELTY: straight razor pearl scale tang 5/8"
The shaving brush stand is suitable for a shaving brushes up to 26 mm diameter. 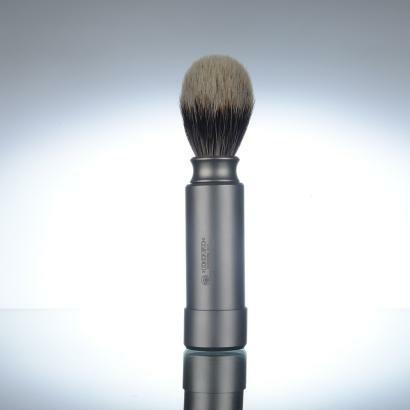 The shaving brush stand is suitable for a shaving brushes up to 25 mm diameter. 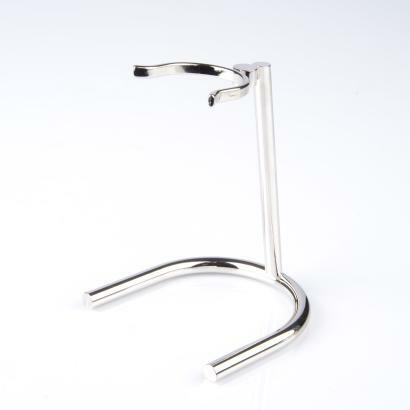 The holder can by means of an adhesive point are also secured to mirrors or wall tiles. 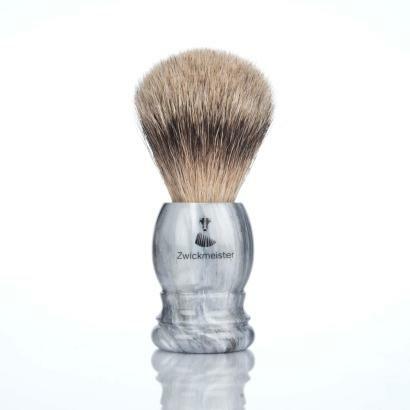 A fabricated entirely by hand shaving brush carefully exquisite badger hair. The precious natural material is very soft and flexible. The conically extending shank of the single hair ermöglichst it, take a great deal shaving cream and auszuleiten to the tips. The handle is made ​​of grenadilla wood. 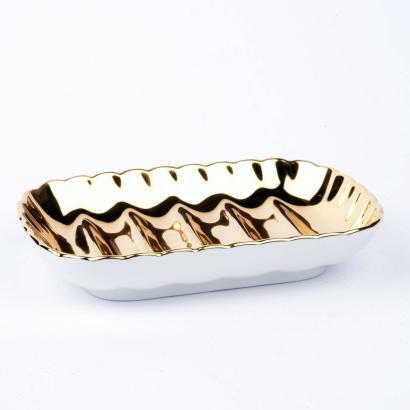 Grenadilla is particularly hard and, with his dark grain an attractive contrast to the gleaming chrome parts. The shaving brush is heavy and high quality. 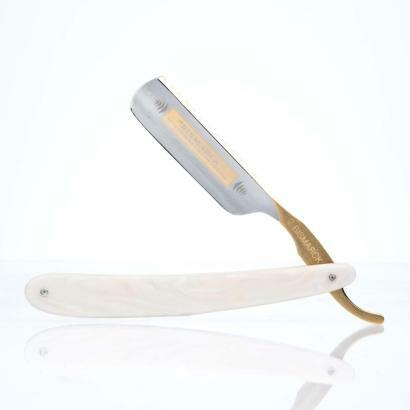 The Bolin Webb X1 is an unusual and quality crafted wet razor. 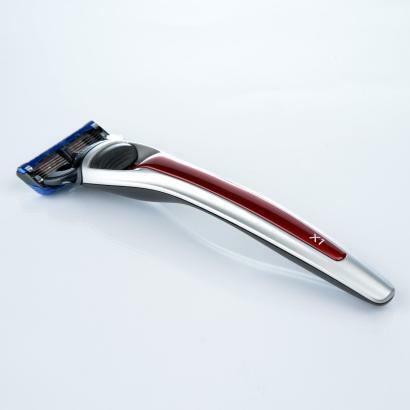 His head takes on the original Gillette Fusion blade, its handle is made of elaborately painted gray metal with a high-gloss monza-red panel. 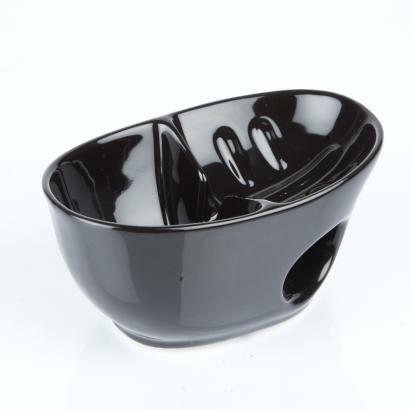 The handle base is made of non-slip rubber for grip and hygiene. The X1 comes in a gift box. Handmade shaving mugs made ​​of beech wood by Horst Hager made ​​especially for us. Suitable for mixing shaving cream. 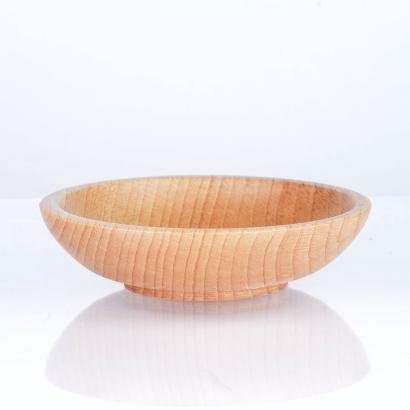 Please note that this is a handmade natural product, so it comes to Different grains that do not meet the figure, each bowl is a unique original. Savon Du Midi Sandalwood Soap. 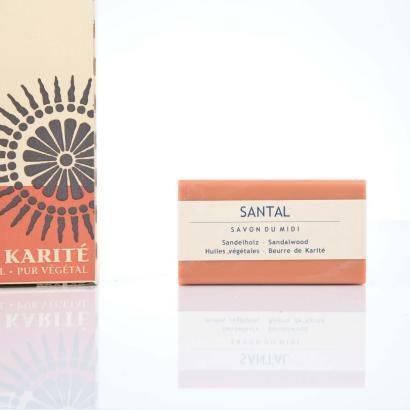 A soap made of organic ingredients, natural essential oils. 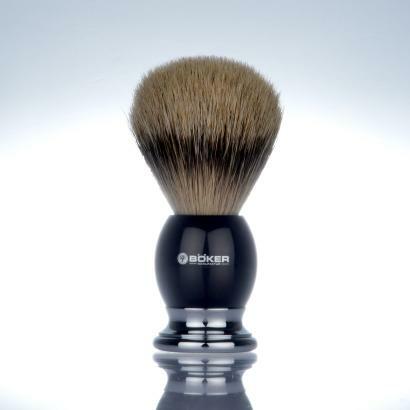 From rugged injection-molded handle, this entry-level shaving brush of Zwickmeister. With natural silver tip badger hair handmade in Solingen. 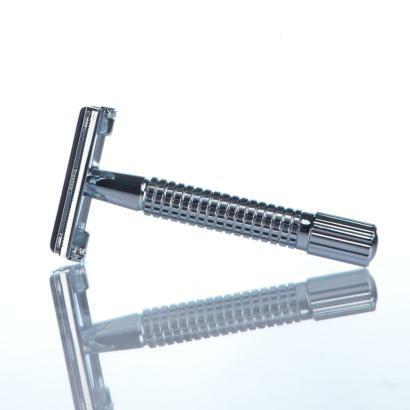 A razor like from the full milled, the Merkur Futur safety razor. 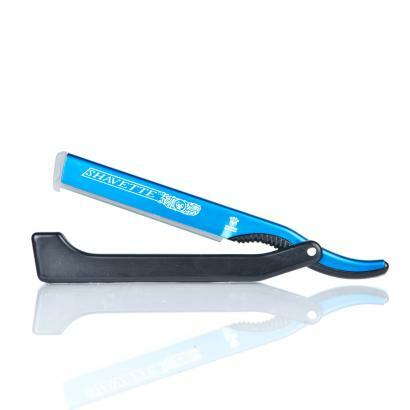 The blade gap is infinitely adjustable and allows a shave from very thorough to very gentle. The degree of adjustment can be exactly repeated by means of a scale. 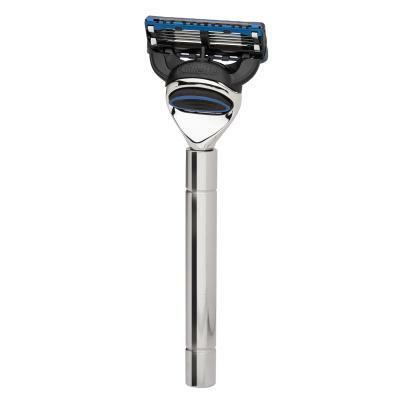 The Merkur Futur is delivered by us with a 10-pack Lord razor blades. 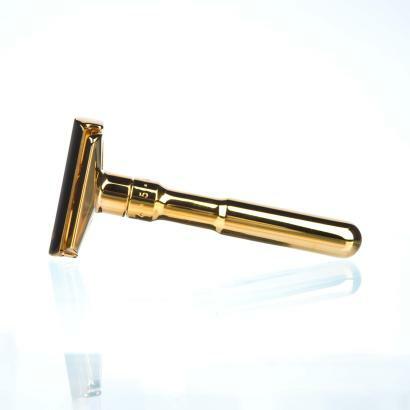 Berlin - the modern, traditional city for the shaving series ERBE Premium Design Berlin. Modern clear forms and durable, proven materials such as stainless steel, coated aluminum and the finest woods bribe in this Made in Solingen collection. 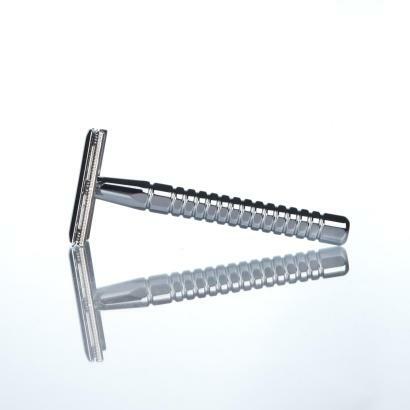 Chromium-plated safety razor with a B arber Pole Handle. . 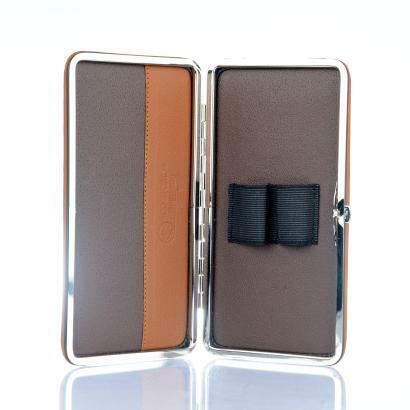 The razor case exists of calfskin and offers place for two razors. 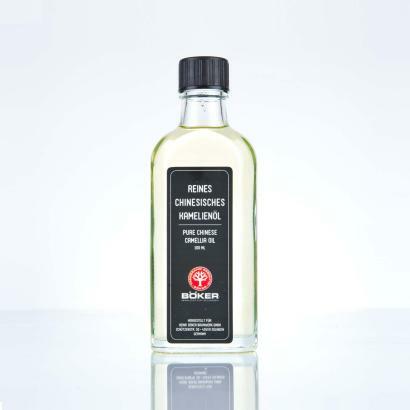 Boker Camellia Oil is the ideal oil to protect against the corrosion of straight razor blades and for the care of razor shells made of wood. of course also usable for all other knives. 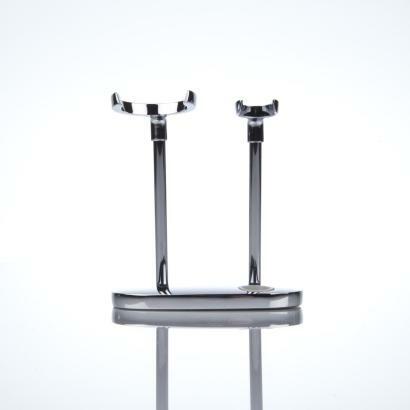 This practical chrome razor stand stylishly holds a classic razor and shaving brush. 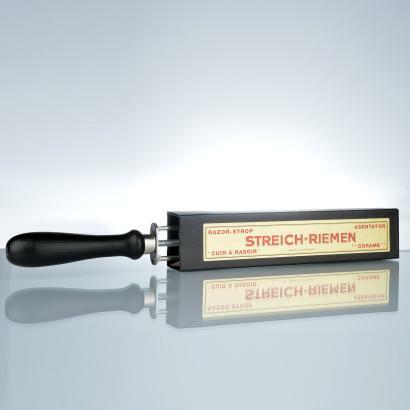 Herold Streichriemenpaste ROT 5 ml The paste for RED Honing Belts has a LOW TO MEDIUM GRINDING EFFECT and can be used often. The paste is applied to the strops and the razor sharpened as usual. Even Joe Louis using Murray's Superior Hair Dressing Pomade and the champ is not wrong. 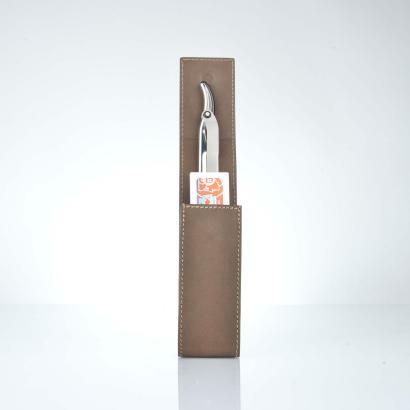 Dovo Solingen Shavette-set cowhide - The razor with interchangeable blade by Dovo made of satin stainless steel (stainless), also for professional use. 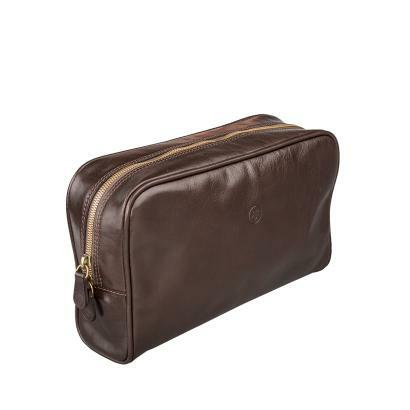 10 pieces razor blades, in the elegant cowhide case in brown - ideal also for the journey. Ideal for contours or fine work. 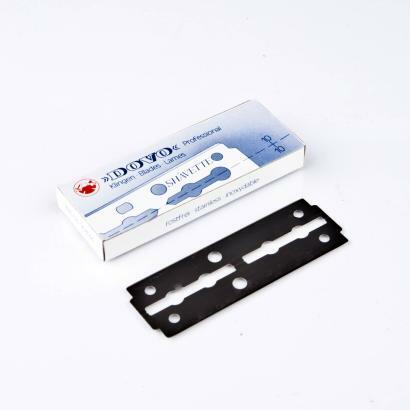 Can be inserted dividable flat steel blades (razor blades). 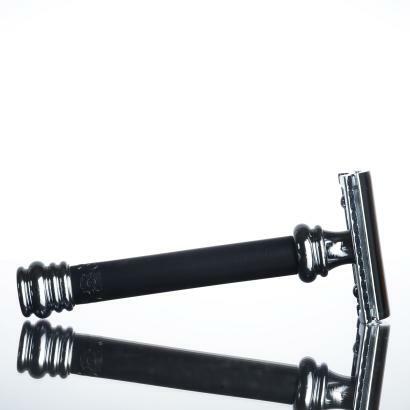 of this Boker safety razor is ideal for problem areas. 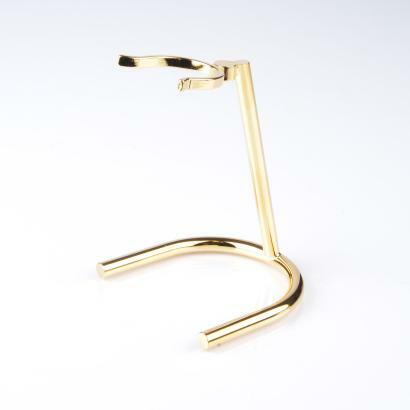 The handle is especially long and made of brass. The head is made of zinc die-casting. 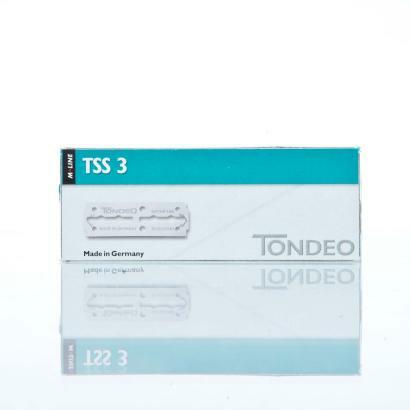 Fits all classic razor blades. 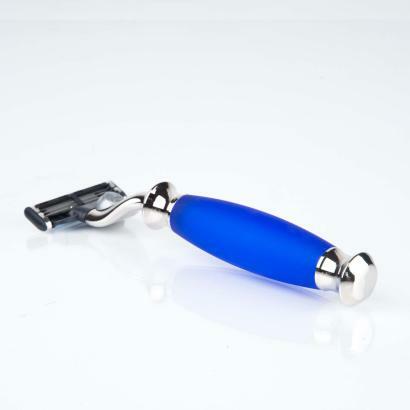 The classic safety razor a butterfly mechanism for easy and quick change of the razor blade. By turning the handle, the mechanism opens. 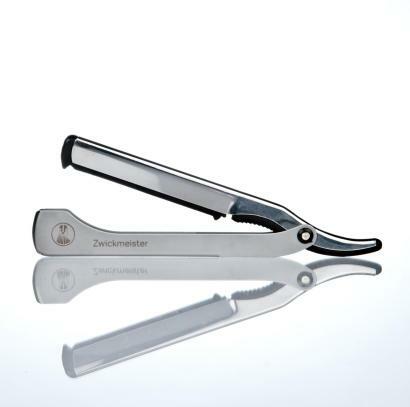 The razor is made of zinc casting and high-quality chrome-plated. Taylor of Old Bond Street brings 150 years of experience when it comes to men's shaving. 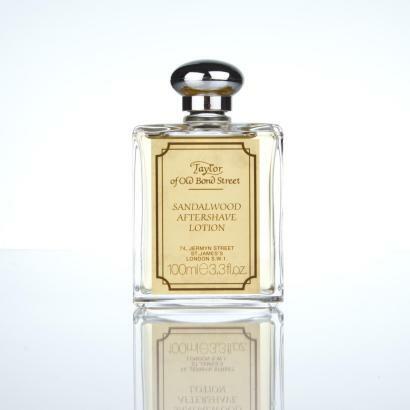 100 ml Made in England. 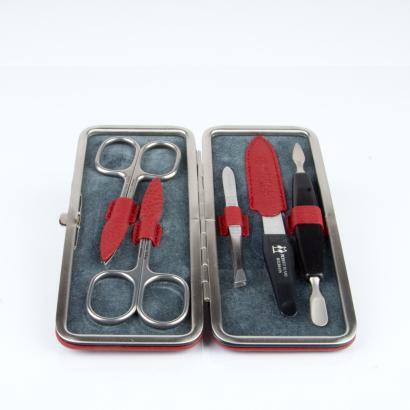 Framecase "Capri" By Robert Klaas, Solingen, contains 5 pieces, cuticle- and nailscissors, sapphire nail file, tweezers, combined cuticle pusher and nail cleaner. Leather. Dovo Straight Razor Bismarck - Pearl Acrylic Gildet 6/8"
The mighty 6/8" blade of this knife is etched with the "Bismarck - Best German Hollow Ground" jewellery. 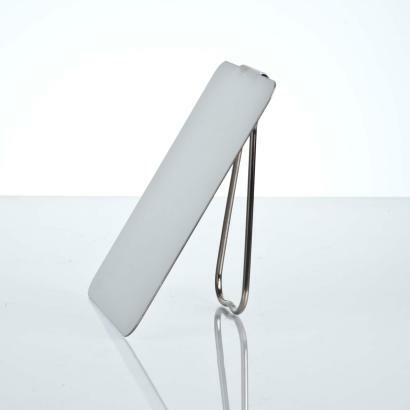 The back of the blade is gold-plated and has an interesting notch. 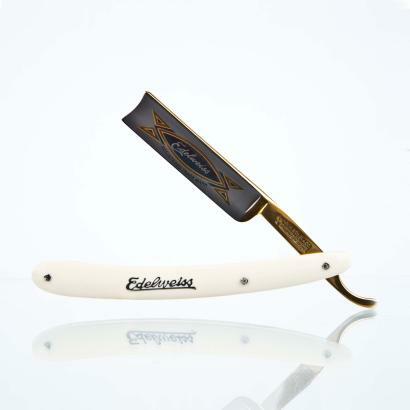 A razor with character for men with strong hands. 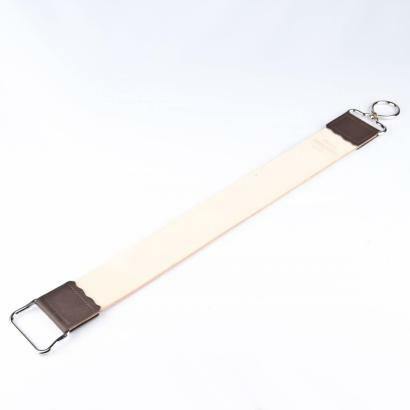 In this version with a shimmering handle made of pearl acrylic (Cellidor). 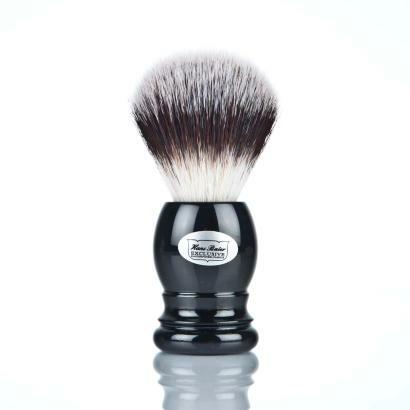 Hans Baier Shaving Brush Black Silvertip Fibre is made with high-quality synthetic fibers. Made in Germany. 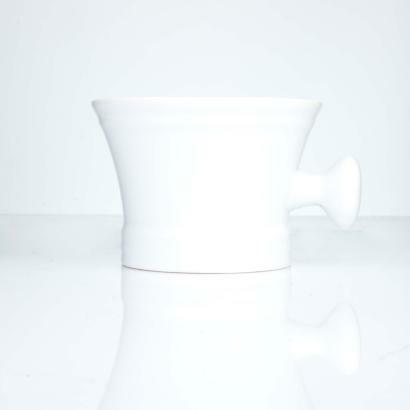 A quality shaving bowl in white porcelain, with knob. 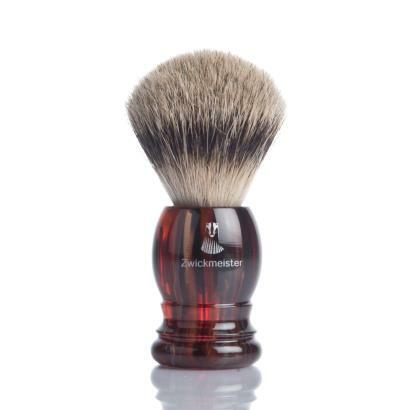 From rugged injection-molded handle, this entry-level shaving brush of Zwickmeister in elegant Havanna optic. With natural badger silvertip hand made in Solingen. 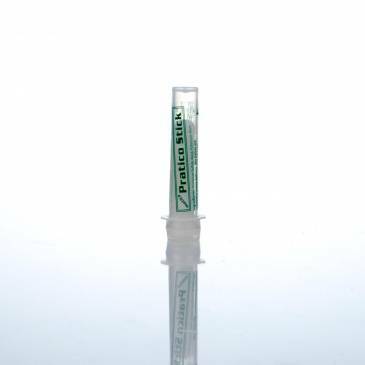 Feather FH-10 Double Edge Razor Blades - these blades provide a very smooth and comfortable shave. 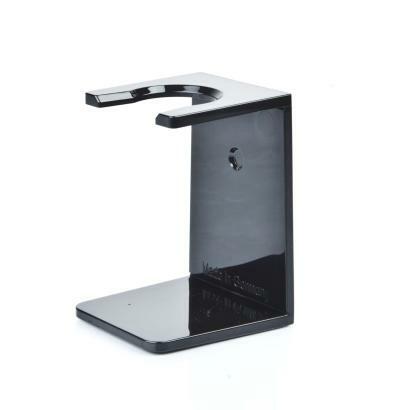 Holder for brush and shaver made of polished stainless steel Berlin - the modern, traditional city was model for the shaving series ERBE Premium Design Berlin. 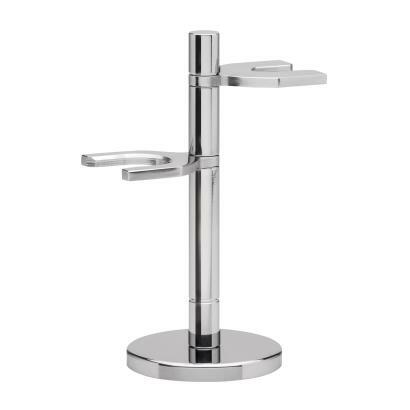 Modern clear shapes and durable, proven materials such as stainless steel, coated aluminum and the finest woods are captivating in this Made in Solingen collection. 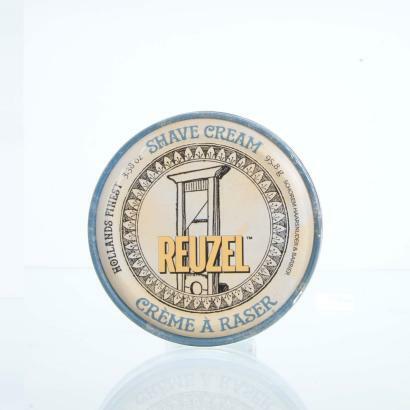 Reuzel Shave Cream is a highly concentrated, rich and super smooth formula that is processed into a luxurious foam for a smooth shave. 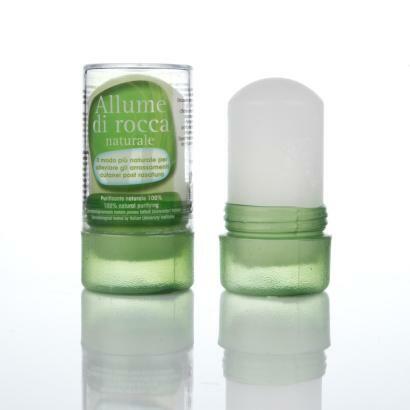 This shaving cream moisturizes and soothes delicate skin, leaving you feeling refreshed and revitalized. Also suitable for sensitive skin. 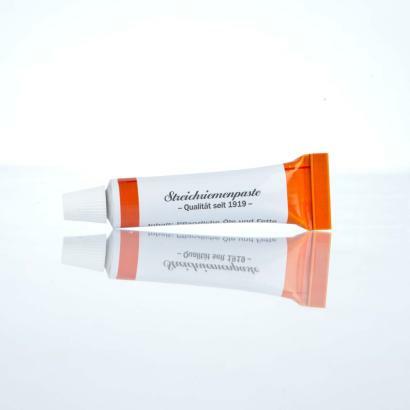 Reduces cuts, nicks, scratches, bumps, ingrown hair and shaving irritation. 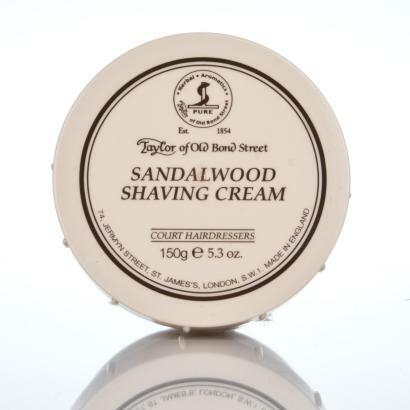 Taylor Of Old Bond Street Sandalwood shaving cream. 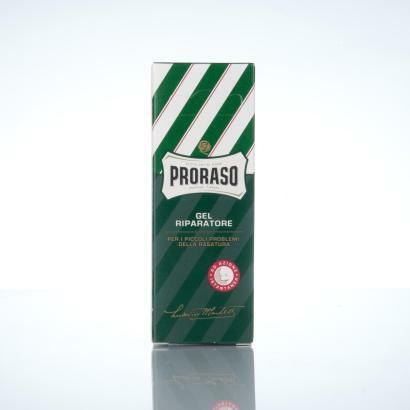 150 years of tradtiion in wet shaving are encapsulated in the pure herbal creation of one of the leading London barbers. 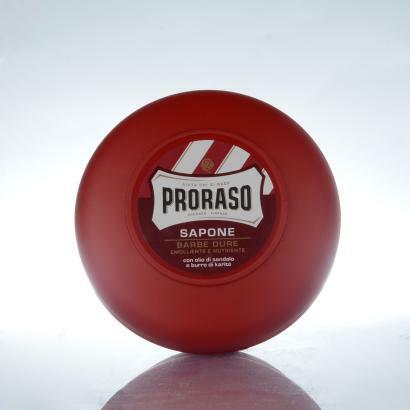 The classic Sandalwood shaving cream a long-established favourite. 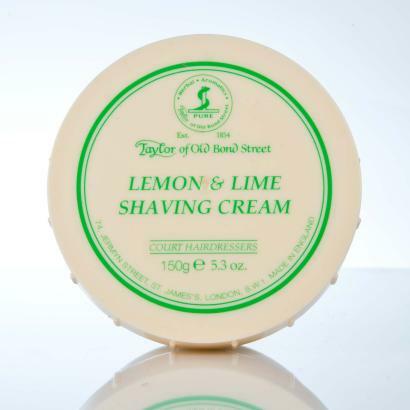 Taylor Of Old Bond Street Lempon & LIme Shaving Cream. 150 years of tradtiion in wet shaving are encapsulated in the pure herbal creation of one of the leading London barbers. 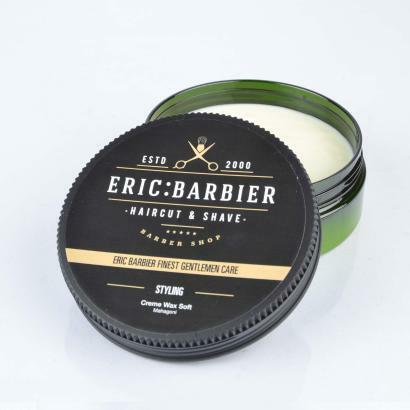 The classic cedtwood shaving cream a long-established favourite.